During our hiatus, DITHOT and I met up with a long time Noodlemantra….one who’s been with us since the beginning. Her name happens to be fansmom. The “fan” in fansmom was there too (her daughter). We met them on their recent trip to San Francisco. 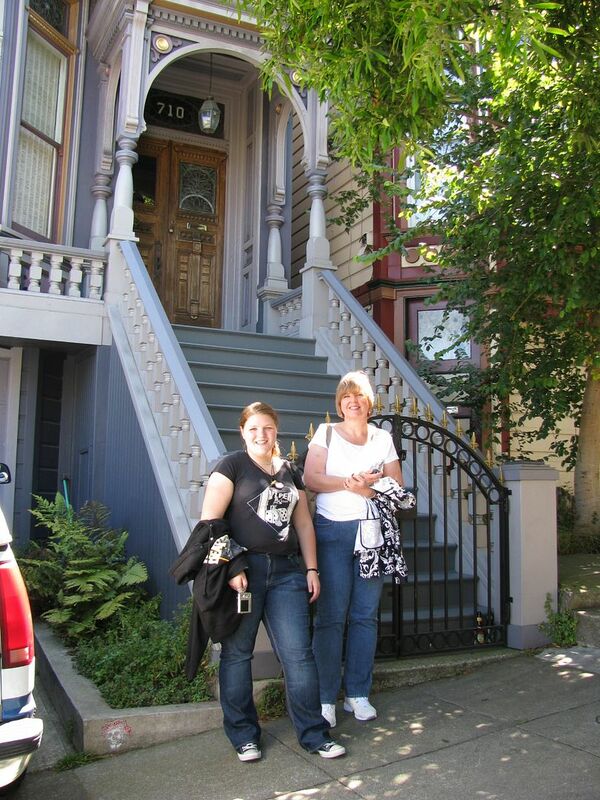 We did our usual Beat Tour together, along with a walking tour of the Haight/Ashbury. That’s where we met for breakfast. I highly recommend this place to eat….Zazie. It was the best breakfast this Noodlemantra has had in forever. 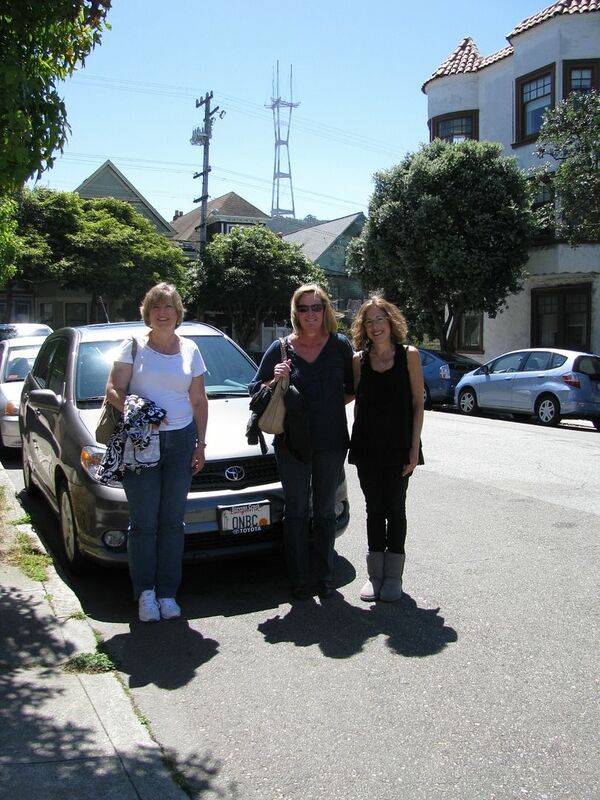 Here we are (from L to R: fansmom, DITHOT & myself) after our Haight/Ashbury tour, in front of the ONBCmobile. I am so happy for all of you. 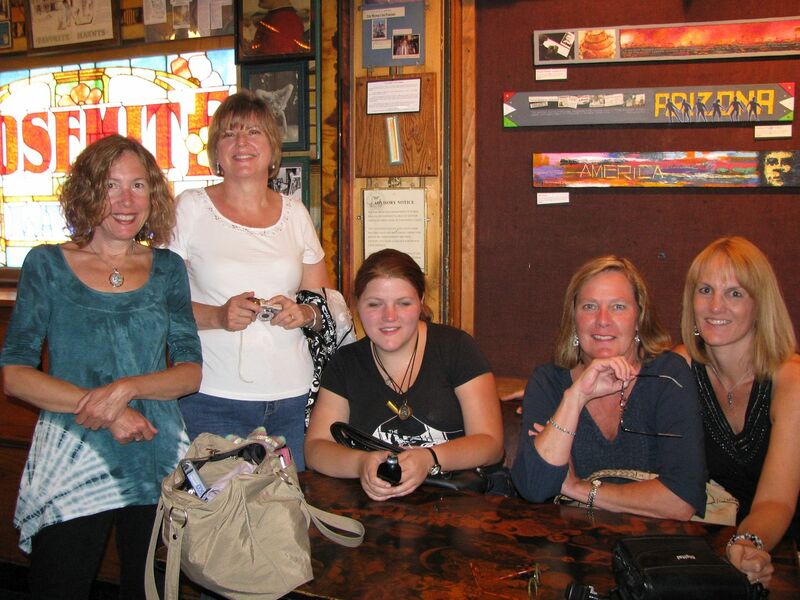 Isn't meeting fellow Zoners fun? I have cherished all of my meetups. Wonderful photos, thanks so much to everyone for allowing them to be shared here! It's nice to put faces with names. Unfortunately, I have met only one Zoner in person (DITHOT a few years ago) but would love to meet more of you! Looks like everyone had a wonderful time! It's so nice to see you all, thank you so much for sharing! We had a great time and it was really special to meet fansmom, one of the original Noodlemantras, and her daughter! San Francisco is such a wonderful place, even if it is all uphill! 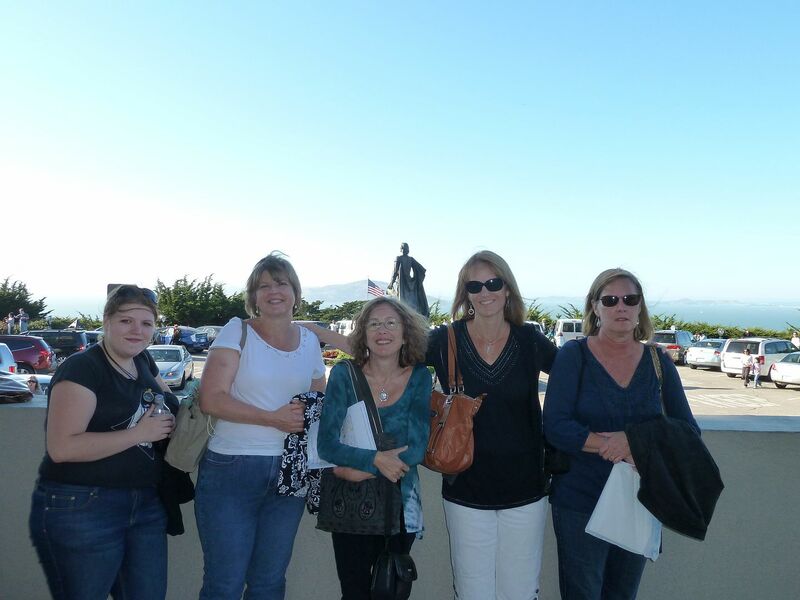 How lovely to see you all in your meet up and to be able to put faces to the names too - thanks for posting. It was very fun indeed. It was so nice to meet someone that I have been conversing with & sharing TZ moments for almost 7 years now. WOW! And fan is a very nice young lady. You did good there, fansmom. DeppInTheHeartOfTexas wrote: We had a great time and it was really special to meet fansmom, one of the original Noodlemantras, and her daughter! San Francisco is such a wonderful place, even if it is all uphill! In BOTH directions. At least you don't have snow. I happened to be with 5 other Zoners when it snowed in SF back in March of 2006. We weren't involved in this car crash, thank goodness. But I gave my fellow Zoners a hair raising experience when we headed up my snow covered driveway the night before. Great photos. You ladies are all looking good and enjoying yourselves. Thanks for keeping us homebodies in the loop. Thanks for posting those, Liz, and thanks to both of you for the Beat Tour! Not only are our moderators terrific at tidbits and discussion questions, they're pretty good tour guides, too. The picture of us at Vesuvio makes me remember what I did when I took my first sip of the Jack Kerouac cocktail (rum, tequila, orange juice and cranberry juice). Let's just say I should have stirred it a little first. WOW. So cool guys! Love seeing what you all look like. And the ONBC mobile What a great idea to tour all those places in San Francisco, would absolutely love to do that someday. Great pics. What fun all of you must have had. Thanks for sharing.